Toyota drivers enjoy an unprecedented level of reliability from their vehicles that starts with the manufacturing process and ends with quality parts and auto service. To keep your Toyota running at its best, be sure to equip it with a Toyota TrueStart™ battery. Crafted specifically for Toyota’s lineup of popular models, these batteries provide performance you can count on day to day, regardless of the conditions outdoors. Trust a Toyota TrueStart™ battery and make every key turn worry free. Does not include tax, shop supplies and fees. Installation included. Must present offer when order is written. Not valid with any other offer. Offer has no cash value. Please call for an appointment. Plus tax and hazardous waste fee. Prior purchases do not apply. Resurfacing additional. Rotor resurface extra Tax and shop fee additional. Toyotas only. Fits most models. Installation and labor included. Must present offer when order is written. Not valid with any other offer. Offer has no cash value. Plus tax. Some models higher. Toyotas only. Does not include tax, shop supplies and fees. Installation included. Must present offer when order is written. Not valid with any other offer. Offer has no cash value. Plus tax, shop supplies and fees (if applicable). Some models excluded. Toyota and Scion vehicles only. Toyotas only. Not valid with any other offer. Offer has no cash value. Plus tax. Toyotas only. Installation and labor included. Installation included. Must present offer when order is written. Not valid with any other offer. Offer has no cash value. Plus tax. Some models higher. Toyotas only. Does not include labor. Installation not included. Labor not included. Must present offer when order is written. Plus tax, shop supplies and fees (if applicable). Plus tax. Toyotas only. TrueStart™ or True-2™, Which Is Right For Me? While predicting battery life isn’t an exact science, there are a lot of factors that can affect it, as well as indicators that can let you know your battery may be on its last leg. When it reaches three years of age, it’s good practice to watch for signs that your battery could fail. Keep an eye on your lights when the engine is off. If they’re dim, your battery is getting weak. Similarly, watch for warning lights, corrosion on the battery’s terminals and difficulty starting your engine. 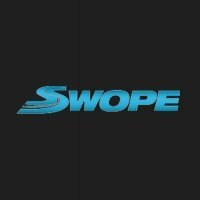 Should any concerns arise, be sure to stop by Swope Toyota so we can test your vehicle’s battery and advise you on the best course of action. When the time comes to replace your vehicle’s battery, turn to the technicians at Swope Toyota. Our specially trained staff has the knowledge and skills needed to make sure your Toyota is operating at its best. Similarly, treat your Toyota to the best by equipping it with a Toyota TrueStart™ battery that’s specially designed to optimize your vehicle’s performance. You’ll enjoy Toyota’s high standard for performance, and your Toyota will thank you.